China Tuesday issued a set of commemorative stamps marking the 90th anniversary of the People's Liberation Army (PLA). The set, issued in Nanchang, capital of east China's Jiangxi Province, consists of six stamps and a stamp sheetlet. 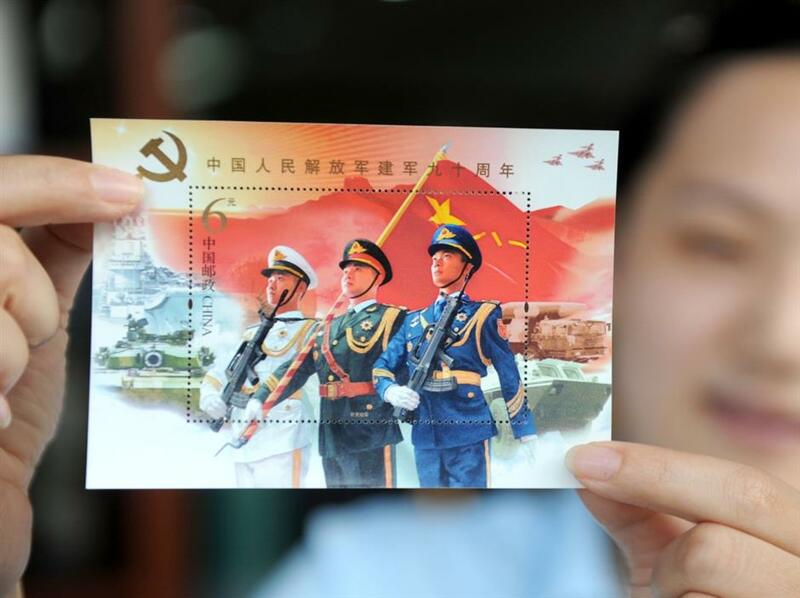 It is the first time China has issued a stamp sheetlet alongside commemorative stamps marking the anniversary of the PLA. The anniversary of the PLA falls on Aug. 1, in memory of the Nanchang Uprising on Aug.1, 1927. The commemorative stamps feature the army, navy, air force, armed police, rocket force, and strategic support troops of the PLA, respectively. So far, nine sets of commemorative stamps marking the anniversary of the PLA have been issued.